Fortunately not yet another example of shovelware. Over the years, the indie scene has dished out a number of what I like to call “8-bit-likes”: platform games with high difficulty levels and a signature NES look. However, while many of these games are good at emulating the form of NES platforming, few actually understand its substance (despite many being good games in their own right). That is, until the original Shovel Knight came along in 2014 and show us what retro platforming is really all about. 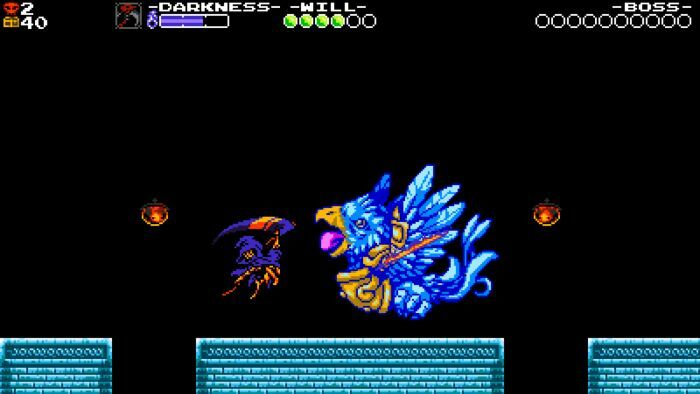 Fortunately, it didn’t stop there: we’ve since been treated to a couple of additional campaigns molded in Shovel Knight‘s image, the latest of which is Specter Of Torment. The question is, does it carry the same pedigree? Specter Of Torment serves as a prequel to the original game and, as the name implies, follows the escapades of a third knight, the Specter Knight. That’s right: now you get to play as a villain, one of the bosses of the original, and see how he fell from grace in a somewhat Darth Vader-like manner. Despite being a personal story, it helps to set up the conflict between Shovel Knight and The Order of No Quarter, and is altogether a surprisingly well-crafted narrative. What started out as a fairly lightweight story for an action platformer has steadily evolved into an oddly engrossing saga, and fans will be delighted. Specter Knight himself has a different mode of attack compared to his Plague and Shovel forebearers. He has a rather fantastic-looking scythe, and is generally a very agile fellow, making him the trickiest to learn but most beneficial once mastered. He can run up walls and perform jumps, as well as bounce off lanterns, which is used to great effect throughout the campaign and adds an almost puzzle-esque element to the whole affair. If you think of the classic arcade version of Strider, then you have an idea of how he controls. As far as stages go, players can expect an eclectic mix of re-imagined levels from the original game, alongside a few original creations. The amount of new content is noticeably higher than its predecessor expansion Plague Of Shadows, though the remixed levels are well and truly interesting because they’re catered to Specter Knight’s abilities. It’s subtle, but it manages to retain the excellent design and flow while still making players get the most out of a new character. Curiously, the game offers you all levels from the onset, and it’s up to you what order to tackle them in, somewhat reminiscent of Mega Man. It’s a tough outing, but being able to approach the levels in an order of your choosing really helps to negate needless grinding and bottlenecking your progress. The presentation, sound effects, and music once again remain top-notch. 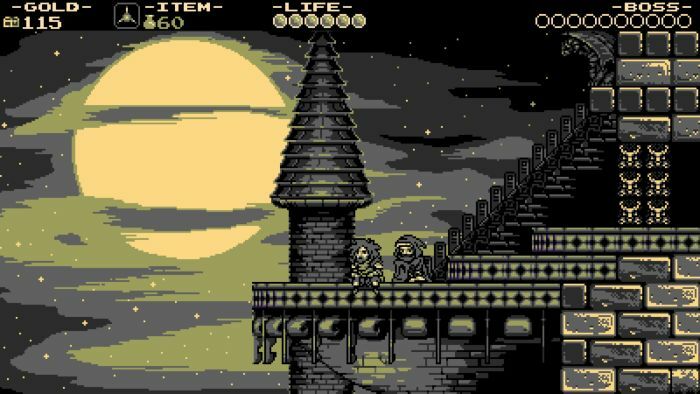 Even if you’re sick to death of NES-style pixel art, Specter Of Torment still manages to impress with its visual style. Sound effects are ripped straight from a NES library, while the music consists of remixes of tracks from the original Shovel Knight. Though it can hardly be seen as original, I nonetheless enjoyed the tunes on offer and felt they offered pleasant memories while offering a brand new twist. The original Shovel Knight has now been retroactively titled Treasure Trove, in accordance with the new continuity laid forth by this new chapter. The good news is that if you already own the first game, then you needn’t worry about purchasing this as a standalone title. However, if you’re one of the few who missed out on owning the parent game (and really, you ought to be ashamed of yourself if that’s the case) then you’ll be pleased to know Specter Of Torment retails at a considerably lower price, which is only fitting seeing as it’s a rather shorter campaign clocking in at a little over four to five hours. Despite this, it remains well worth a playthrough, even if you never experienced the original. 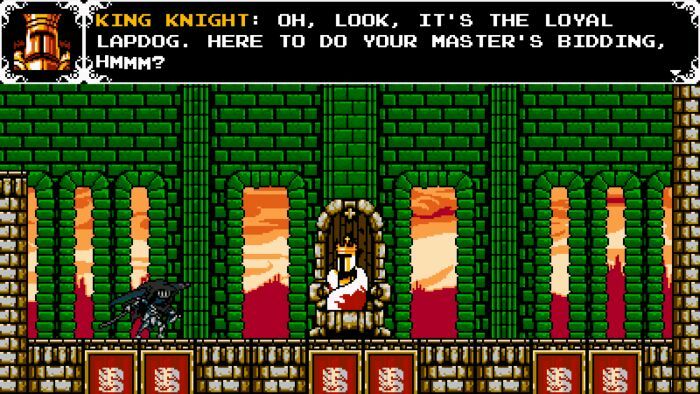 Shovel Knight: Specter of Torment is another retro-style classic in the Shovel Knight series. As fun and as brutal as ever, it remains a testament to the winning formula behind not just Yacht Club’s games, but retro gaming as a whole. Over three decades later, 8-bit is still as relevant as ever. But don’t take our word for it. Hope on over to Steam now to dig up a copy that you can call your very own. If you’re a Shovel Knight fan, you certainly won’t be disappointed. 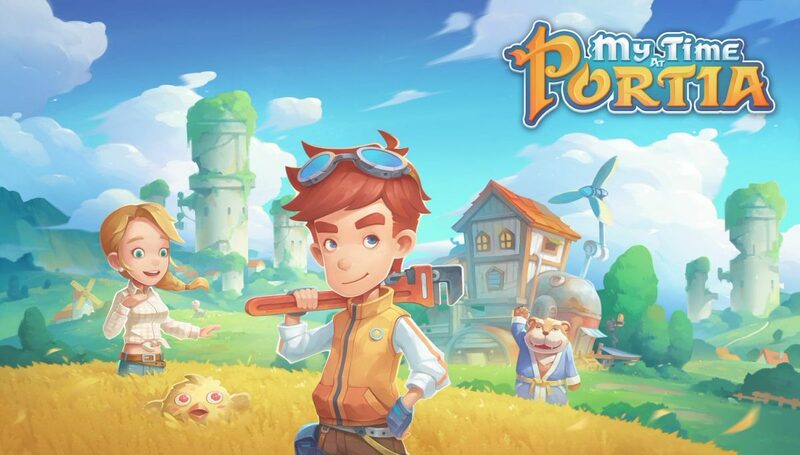 Available on: PC (reviewed), Nintendo Switch; Publisher: Yacht Club Games ; Developer: Yacht Club Games ; Players: single-player. ; Released: April 2017. Full disclosure: this review is based on a Steam code for Shovel Knight: Specter Of Torment given to Hey Poor Player by the publisher. 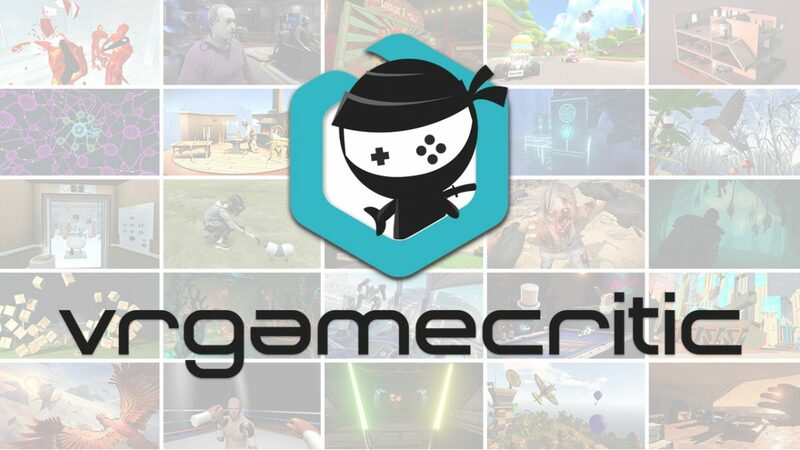 Delano is a lifelong gamer who resides in the city of Johannesburg in South Africa. He's also a political student, artist, geek, writer, historian, skeptic, linguaphile, IT nerd and electronic music fan. An eccentric lover of the strange and beautiful who is equal parts harmony and discord.